Rochester, NY When most people hear fire safety, their thoughts immediately focus in on fire exits, extinguishers, and sometimes the, “Stop, Drop and Roll” protocol. But there’s another silent savior that has been around for over a century, providing protection for your life and property. Fire sprinklers. When properly installed and maintained, fire sprinklers are found to control a fire 99% of the time and can drastically decrease the loss of life and property in the event of a fire. All it takes is one story of loss for people to rethink the value of fire sprinklers, and it only takes one meeting with Daniel and Trisha Merkle, the owners of Colonial Fire Protection Systems, Inc., to be inspired by their passion for life safety. Fire pump and preaction system installed at a new Big Apple Deli Products facility in Gates N.Y.
To get the true understanding of how Colonial Fire Protection Systems came to be, it’s best to start from the beginning. Colonial Fire began in 1983 with Ed Greenwood in a small home office in East Rochester. 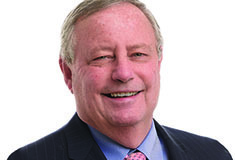 A short time later, George Merkle joined his team, and eventually they became business partners. 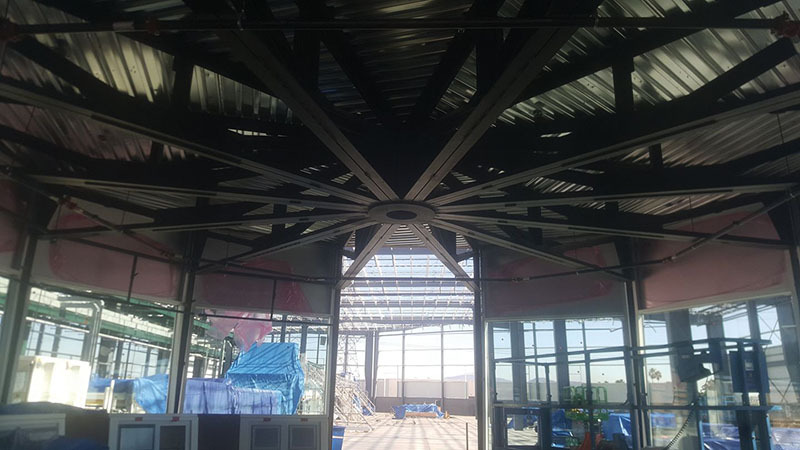 With Greenwood running the design side, and George running installation, they began to make their mark on the sprinkler industry, building by building, system by system. You can even go into the vaults of Colonial Fire and see the original pencil drawings for sprinkler systems for many buildings in the city. Chances are good that you’ve been inside of a local building that is, in fact, protected by a sprinkler system designed and installed by Colonial Fire. But to the Merkle family, Colonial Fire was more than just a sprinkler company. It was the family trade. For Dan Merkle, George’s eldest son, and current Colonial Fire president, sprinklers were just part of the family business. From a young age Dan recalls helping his grandfather fabricate pipe, and continued to follow with the family trade and joined the Colonial Fire team in 1993, straight out of high school. He started out as a sprinkler fitter, working up to foreman, and mastering every position available to him. He soon learned the full scope of the trade and excelled in speed, efficiency and accuracy with his installations. His knowledge of the sprinkler industry is second to none, and his recall for jobs that he’s worked on would rival any archivist. 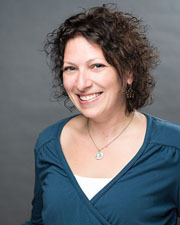 Then in 2004, Dan and his wife, Trisha, current vice president and CFO of Colonial Fire, moved to Florida, where Dan continued his fire sprinkler education and obtained his sprinkler design certification. However, their stay in Florida would come to an early end, as their hometown came calling. In September, 2007, Dan and Trisha found themselves back in the city, and buying out Ed’s shares of Colonial Fire. Thus, turning it into a second-generation family owned business, and launching a new era for the fire sprinkler industry in Western New York. 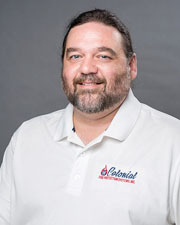 An integral part of Colonial’s growth came in 2013 when estimator/designer Glenn Dow joined their team. His position as national sales manager, combined with over 20 years of experience in the industry, elevated Colonial to the next level. Together with Dan, Trisha and George they began to build and expand Colonial Fire Protection Systems into one of the premiere merit shop sprinkler companies. They’ve handled projects that have kept them close to home in the local market, but also allowed them to expand to other locations throughout New York, and even taking them to California, Texas and Vermont. But it was always their passion and support of their employees that have continued to inspire their staff and build the crucial relationships that have led to their success. Some of their memorable projects in recent years include: College Town Rochester, various hotels such as Hampton Inn in Penfield, Homewood Suites in Latham, and the Hilton Garden Inn in Clifton Park; multi-building apartment complexes such as Maplewood Apartments in Ithaca, Fairview at Town Center in Henrietta, Oneonta Heights in Oneonta, and Upper Falls Square Apartments; manufacturing facilities including EnCorr Sheets in Ontario, Ca., StarCorr Sheets in Temple, Tx., and C&M Forwarding; as well as numerous Wal-Mart stores throughout New York and Vermont. 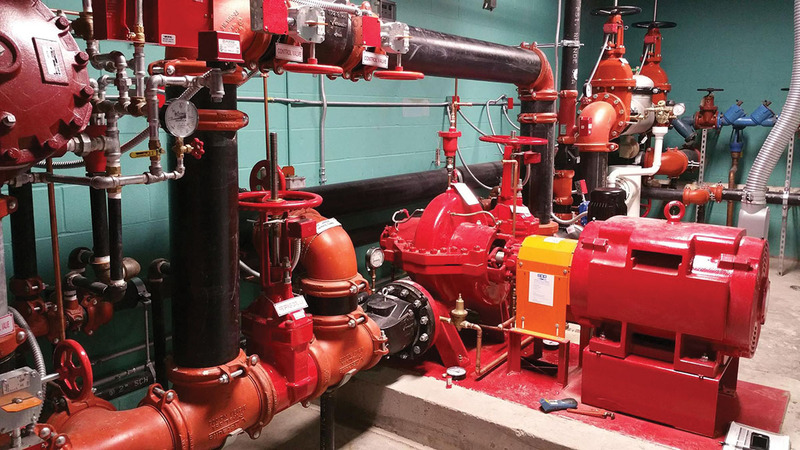 What began as a small seven-person operation in 2007, with a design and installation division, quickly grew to include sprinkler service work and inspections, fire pump testing, backflow installation and testing, and standpipe testing. Their staff has also expanded to include three NICET-certified designers, five NICET-certified inspectors, and over 40 employees across the state. 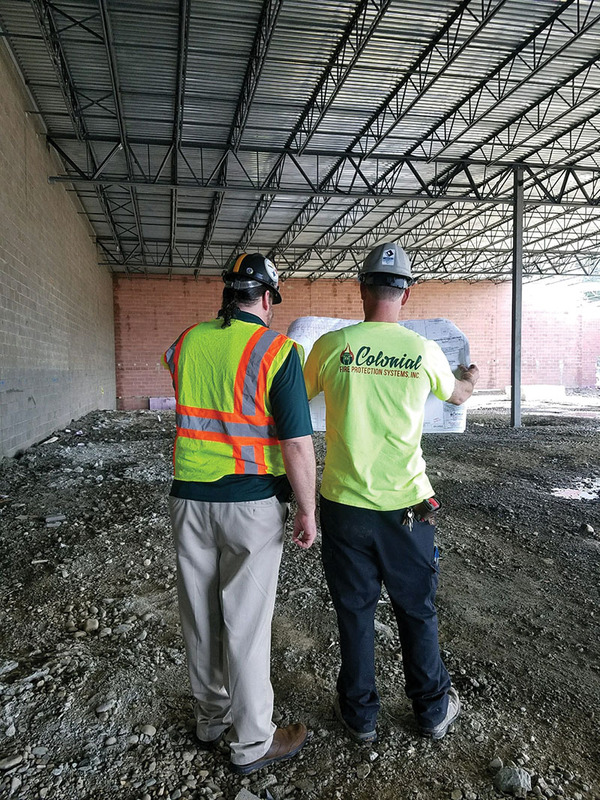 In 2018, after an increase in demand for sprinkler work, Colonial Fire Protection Systems opened a second office in Clifton Park, and continue to increase their business in the Capital District and everywhere in between. They were also a Rochester Top 100 Company in 2017, ranked at #43 on their first year applying. But the work for Colonial Fire doesn’t end with sprinkler installations, service and inspections. They have been active supporters and members of the American Fire Sprinkler Association for many years, and when the time came to start an Upstate NY Chapter, Colonial Fire jumped in. Trisha is the current treasurer for the Upstate AFSA Chapter, and along with Dan, they have participated in legislative days on Capitol Hill meeting with NYS assemblyman. Their goal is to promote merit shops and bring to light issues facing the fire sprinkler industry. They also continue to educate the public, contractors and fire marshals about the importance of life safety through the use of fire sprinklers. From their humble beginning in 1983, to their present-day success, Colonial Fire Protection Systems, Inc. is just getting started. So, the next time you are out and about, stop for a minute and look up. You might see the fire sprinklers in the mall, or they might be concealed heads, hidden beneath the ceiling tiles. But either way, you know that you’re in a fire safe building. You may even be lucky enough to be protected by a Colonial Fire sprinkler system.